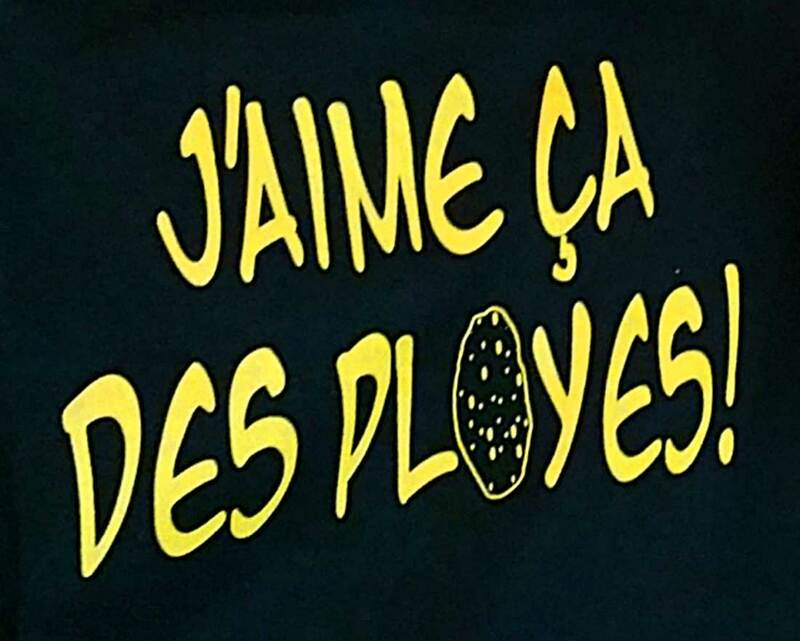 I have a T-shirt that says “J’aime ça des ployes!” in big yellow letters across the front. You can’t miss it. But most Canadians, even French Canadians in Québec, have no idea what a ploye is. “Qu’est-ce qu’un ploye ?” as it were. Cafe? Flora at the New Brunswick Botanical Gardens raises the humble ploye (buckwheat pancake) to an art form. What was once a meal for the poor has become a treat for the tourists. 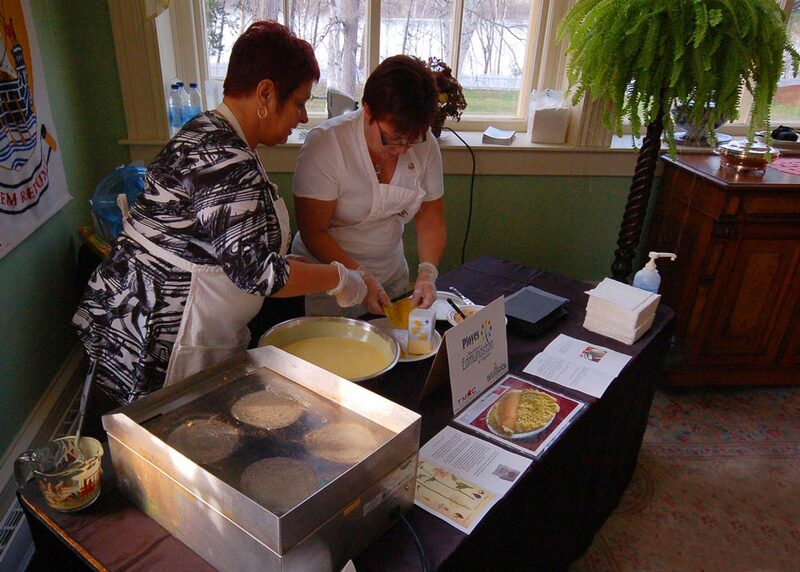 The folks at Edmundston Tourism are anxious to spread the word about their favourite pancake. The recipe varies slightly depending on family preferences but the batter is always thin and runny and the ploye is not flipped during cooking. Also, it’s very important to use the Madawaska-style buckwheat flour. Regular buckwheat flour is grey in colour and contains remnants of the husk. 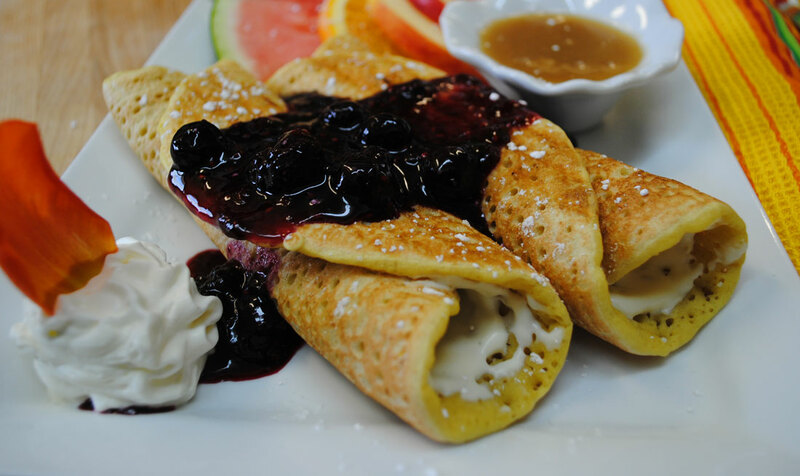 It renders a darker, heavier pancake like the “galette de sarrasin” (buckwheat pancake) found in Québec. Madawaska buckwheat flour is soft and white and gives the ployes a yellow colour and a different taste. Mix it all and add 2 cups of boiling water, and 2 tsp. of baking powder. Cook on a hot griddle, one side only, do not flip the ployes. A true ¨ploye¨ should not be turned during cooking. Ployes and ‘cretons’ (pork pate) is a traditional meal of the hungry New Brunswick working man returning from the field or forest. In large rural families it was the hour of the PLOYE! This buckwheat flour pancake has rather an odd name, coming from the fact that ployes would “plug” a stomach quickly (lovely!). Old-timers would use a starting yeast preserved from one meal to the next. Ployes were made on a wood stove and were used as a substitute for bread. Drop us a comment if you try this recipe. 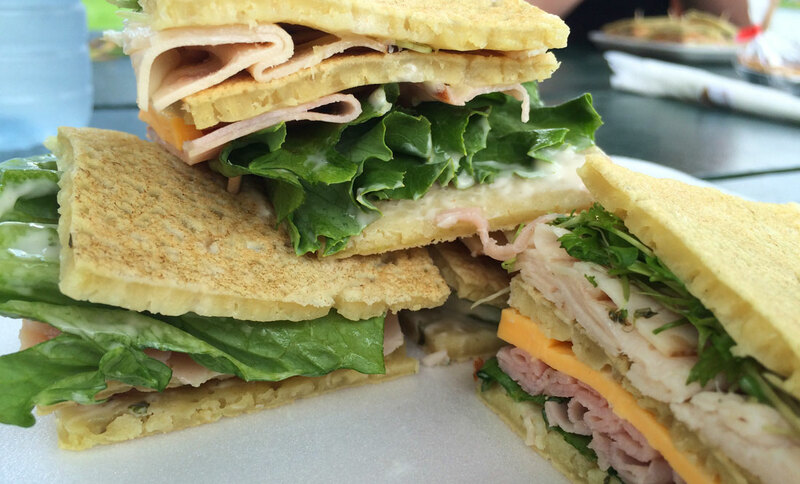 Interesting twist: at Maurifils Farm Chef Pat makes a wicked ploye sandwich. Ate That. Bought the T-shirt. What was the original “starter” for ployes? Yeast could not be purchased so was it” natural” yeast activity? I am from south western NB and though your ployes are tasty, I like the grey buckwheat pancake my family ate because of the way it rolls up. However, I have never been able to figure out what to use as a natural started. Any idea? Also poor people from north or south ( English or French)of the province did not have luxury of our fine white flour to mix with buckwheat. Was the earlier ploye heavier? I love ployes, thy are my favorit, i do come from N. B, Edmonston, part, now i live in Ontario, so i still do make it some time, and i do introduce it to my friends, some like it and some dont, its ok, cause then there is more for me ???? Made on round 1in cast iron griddle put crisco on paper towel to grease griddle!!! I’m in Nanaimo…BC. I’m desperately in search of northwestern NB ployes and cretons. Seems that’s the only source of proper Buckwheat to make REAL ployes. I cannot see why frozen cretons are not available in large grocery chains.